Last Monday I had my third chemo in the day hospital. This means that I am halfway through. After the fourth chemo a test shall be done if the cancer is gone, but anyway 2 more chemos needed to complete the entire cycle. Each chemo is seven hours and during this session I have enough time to think about new patchwork projects. With my new iPhone I can do some web surfing and look for brand new modern fabrics. 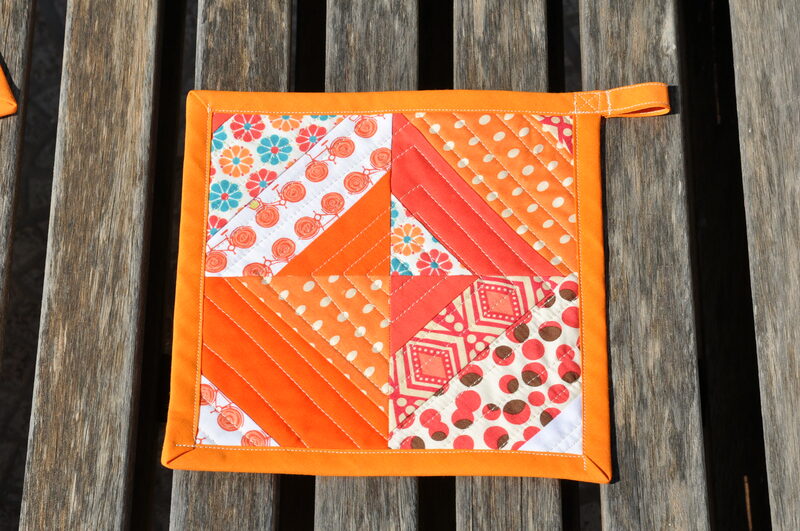 A really nice website shop for patchwork fabrics is : Hawthorne Threads . Strubbel got a new patchwork wall hanging behind his mat. This is more a practical solution for not painting the wall every year. 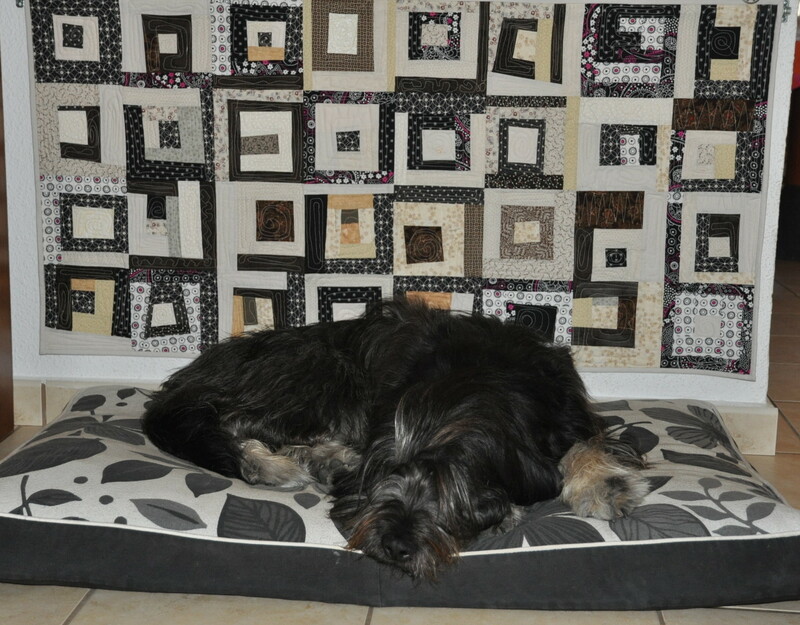 I am not sure if he is fond of it, but for me it was an interesting new type of patchwork with free hand piecing – also called improvisational. 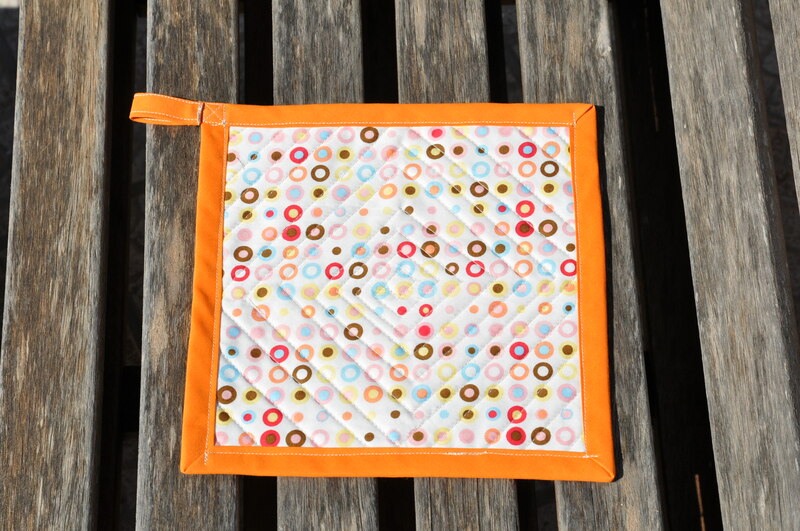 And using a new style of quilting technique – free motion machine quilting with a darning foot. 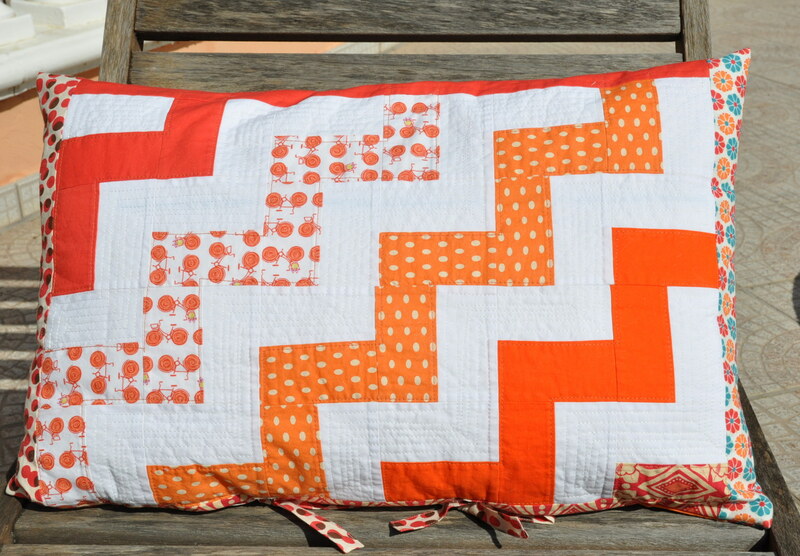 The other smaller project was finishing 2 more pillow covers from the orange series for our lounge. This time they are finished with bows instead of a zipper. 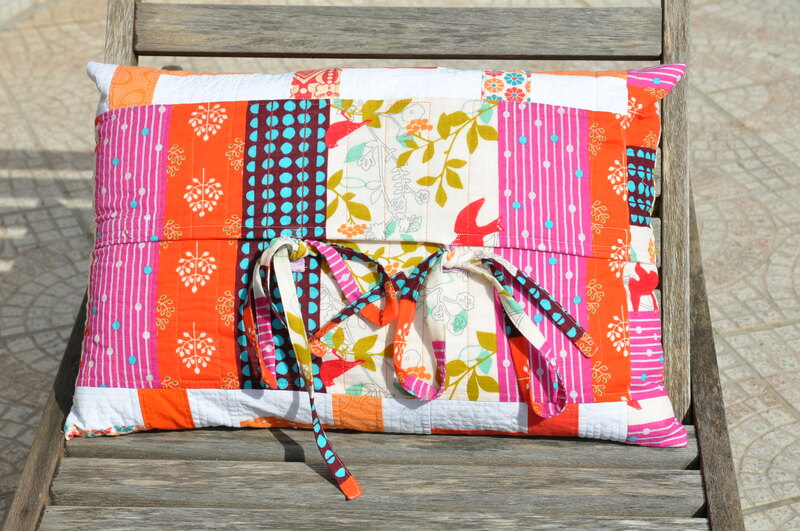 A bow can be a nice extra decoration on the pillow cover that I want to use more for new projects. 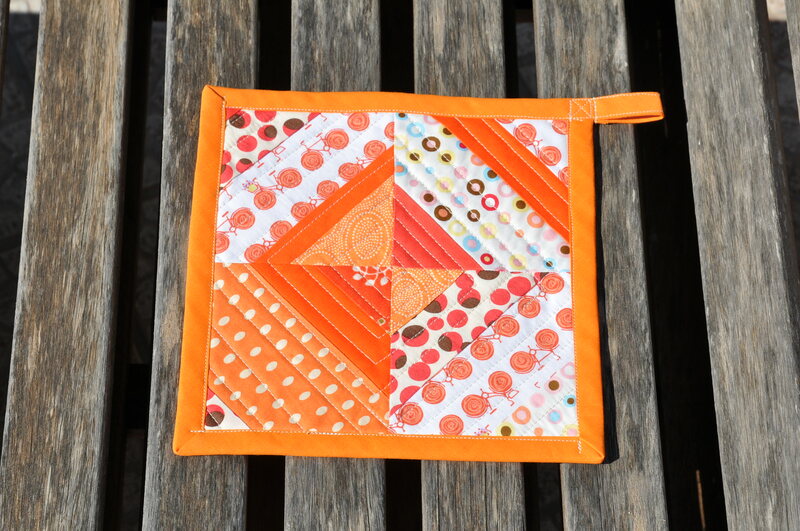 And to finish definitely my orange fabrics I decided to make some pot holders. 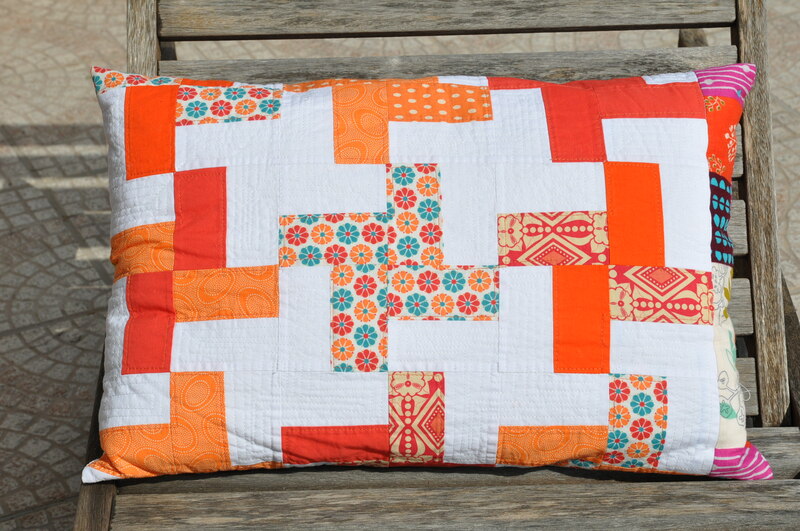 These were inspired by Malka Dubrawsky and published in her new book Fresh Quilting. Alternatively you can visit her website : a stitch in dye. This is also one of my favourite blogs for her wonderful feeling and combination of strong bright colors. 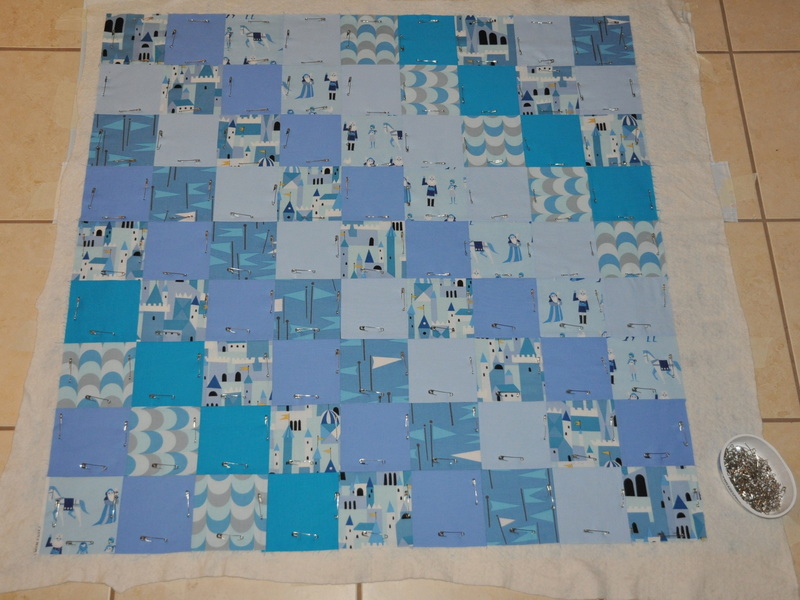 The top, batting and quilt backing are basted together and prepared for quilting. 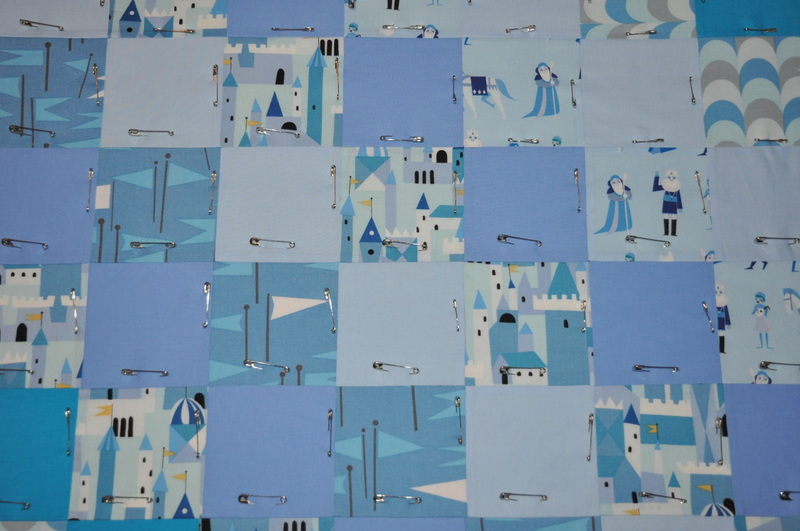 I prefer to use special safety pins for quilters (with a curve) instead of glueing the three layers together. The glue works well when using the walking foot of your sewing machine for straight line quilting. But with free motion quilting I made the experience with uneven stitches and a feeling that the needle gets “stuck” on the glue and can not work properly. 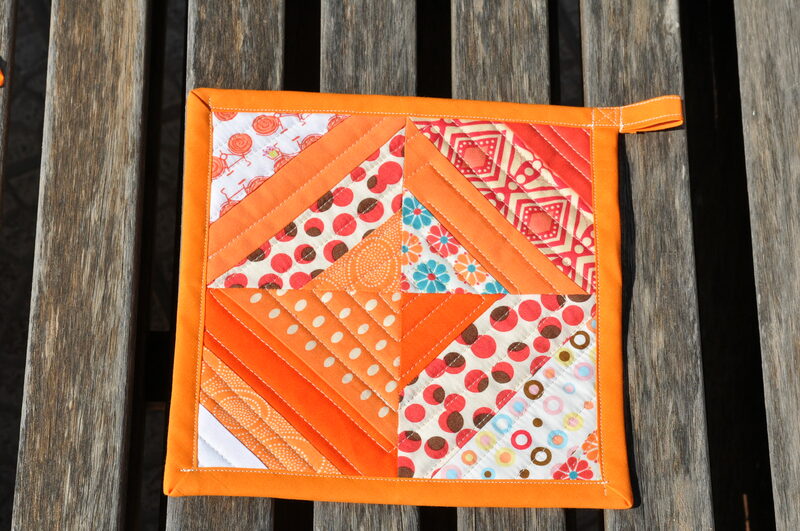 This entry was posted in patchwork, quilts.